One of Colorado's National Parks saw more visitors in 2018 than ever before. Visitation is up to 4.5 million from just 2.8 million almost a decade ago. ESTES PARK, Colo. — It came, it saw, it conquered. Kind of. 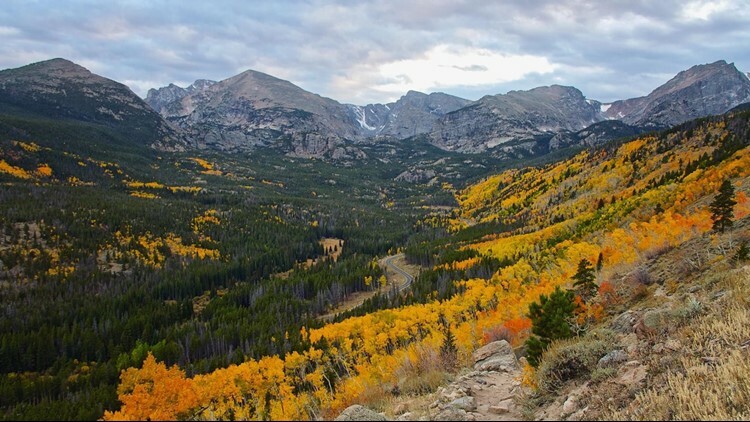 Staffers at Rocky Mountain National Park say more people than ever before visited in 2018: 4.5 million people, a 3.5 percent increase in visitation over 2017. The previous record for visitors was beaten by less than 100,000; 2018 saw 4,590,492 people stop in Rocky Mountain while 2016 saw 4,517,584 people. According to a press release from the National Park, 2018 attendance numbers represent a marked 42 percent increase over 2012 numbers. Interested in now park rangers decide how many people attended the park? Of course you are. According to staffers, it's a "difficult and imprecise effort" trying to pin down exactly how many people visited RMNP each year. Estimates help quite a bit. For those worried about the wildlife and vegetation with so many people passing into RMNP each year, park rangers are still working to figure out the effect this is having. In 2016, park staff started restricting vehicle access in three areas, including Bear Lake Road corridor, when parking areas fill up and heavy congestion demands it. Most of these closures had to happen in July and August (as well as during the weekends in June and September). At the moment, park staff are working to draft concepts to address the changes in human activity in RMNP. Rangers hope to share the concepts with the public later on in the year.